As discussed previously, Steve Ditko broke into comics with some stories scattered around multiple publishers in 1953, and then settled in to quickly become a regular in Charlton's various comics in 1954, including many covers. After that, he only had a single story and cover published by Charlton in 1955. That brings the tally for his first three calendar years in comics to 209 interior pages and 20 covers. In addition he's known to have worked on the backgrounds for some 3-D comics, and some people see traces of his hand in a few other stories of the time, but nothing confirmed. That brings us to 1956, April going by the cover dates, when Ditko's artwork returned to the racks, this time from Atlas, the company now known as Marvel. Atlas would end up publishing 17 Ditko stories over the next year, almost all 4-page, for a total of 67 pages (not unlike his first stint at Charlton, the last one would be a straggler, coming out in April of 1957, five months after the previous story, possibly held in inventory as various business matters meant that Atlas had a lot of stories and few titles to run them in so stopped buying freelance work for a while). 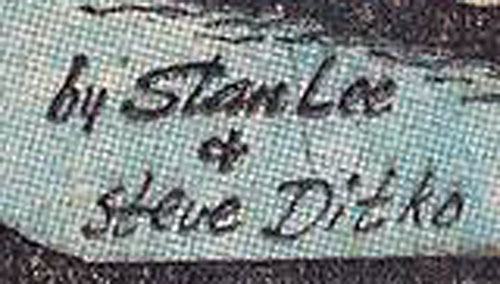 And while his prior work, when signed at all was usually just signed "Ditko" (or in one case "S.J. 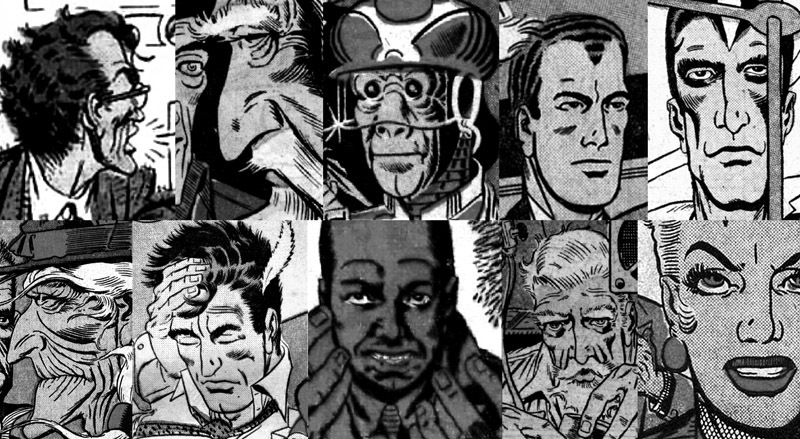 Ditko"), a few of these stories finally gave us a full first name for the artist. Unfortunately Marvel has almost completely ignored Ditko's work of that era in reprints, with the exception of a single reprint of the first story in the 1990s, thanks to Mort Todd's stint as an editor there, "There'll Be Some Changes Made" in CURSE OF THE WEIRD #4 . Fortunately, a few more were reprinted in Pure Imagination's STEVE DITKO - EDGE OF GENIUS  ("There'll Be Some Changes Made", "The Night Visitor", "No Bars Could Hold Him" and "Who Lurks Down There"). Hopefully at some point Marvel will see the wisdom of collecting those 67 pages in a single book. Anyway, from what I've seen those stories are pretty good, with the sharp detailed artwork, some great faces and backgrounds and stories that sometimes rise above the mundane. Definitely a collection I'd like to see. With that out of the way, coming soon, Son of It Stalks the Public Domain (or whatever I decide to call it), a series of posts featuring Ditko's non-Marvel work from 1957 to 1959.